"We just moved into a new house, and the only place where we can put a sukkah is in an area that is shaded by a fruit tree. May we chop down the tree in order to have a place to build our sukkah?" In a previous article (available on RabbiKaganoff.com under the title, When May I Remove a Tree), we discussed several issues concerning when it is permitted to remove or destroy a fruit tree. The Torah teaches that when going to war one may not destroy fruit trees unless doing so serves a strategic purpose, and that in general it is forbidden to destroy fruit trees randomly. In that article, I mentioned that there is a dispute among authorities whether one may raze trees in order to build a house in their place. We also learned that the Gemara considers it dangerous to destroy fruit trees, and, according to some authorities, this is true even when there is no prohibition involved in razing the tree. Based on the opinion of the Rosh (Bava Kamma 8:15), who permitted cutting down a tree in order to construct a house, the Chavos Yair allowed chopping down the offending peach tree (Shu"t Chavos Yair #195). However, the Chavos Yair rules that this is permitted only when one cannot simply remove some branches to allow the light into his house. When one can remove some branches and spare the tree, the Chavos Yair prohibits chopping down the tree since it is unnecessary to destroy the entire tree. Even though the branches will eventually grow and again block his light, the Chavos Yair does not permit chopping down the entire tree, but requires one to repeatedly trim it. Thus, although he accepts the Rosh's ruling permitting removing a tree for the sake of a dwelling, the Chavos Yair notes that this is permitted only when one cannot have the house and eat the fruits, too. The Chavos Yair further rules that the Rosh, who permitted chopping down a tree to allow construction on its place, only permitted this for an essential need of the house, and not merely to make the house nicer, such as to widen his yard or to provide a place to relax. The Chavos Yair follows the Rosh's approach and permits removing a fruit tree if there is no other way to build a house. However, not all later authorities are this lenient. When asked this exact question -- “May one cut down a tree to construct a house?” -- the Netziv, one of the leading authorities of nineteenth-century Lithuania, was not comfortable with relying on the opinion of the Rosh. Rather, he concluded that there are early authorities who disagree with the Rosh and permit razing a fruit tree only in the three situations that the Gemara mentions: When the tree is more valuable as lumber, when it is producing almost no fruit, or when it is affecting the growth of other fruit trees. In the first two instances, it is no longer considered a fruit tree. The Netziv (Shu"t Meisheiv Davar 2:56)) provides two different reasons why, if it is still considered a fruit tree, one cannot remove it. (2) Chopping down a fruit tree is permitted only when removing it provides immediate benefit. However, when one clears a tree to make room for construction, there is no immediate benefit. The benefit is not realized until one builds the house -- which does not take place until later, and we do not see from the Gemara that this is permitted. "Congregation Ohavei Torah purchased a plot of land for their new shul building, but the property contains some fruit trees. 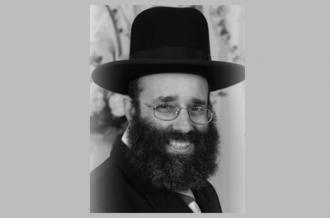 May they chop down the trees for the mitzvah of building a new Beis Hakenesses?" This case is fairly similar to an actual shaylah that is discussed by the Yaavetz (She'eilas Yaavetz 1:76), a prominent 18th century posek in Germany. A community is renting a house from a non-Jew for their shul. The number of congregants is now, thank G-d, exceeding the size of the shul building, and the gentile owner has allowed them to expand the building on which they still have nine more years on their lease. However, there is only one direction in which they can expand their building, and do to so would require uprooting a grape vine. The gentile owner has permitted them to rip out the vine for this purpose. The community's question is whether expanding the shul is a valid reason to permit ripping out a grape vine, which is halachically considered a fruit tree. The question is more significant in light of the fact that the community's benefit may be only temporary -- the gentile landlord may not renew their lease when it comes up for renewal, and they may then need to look for new quarters. The Yaavetz's suggestion is very welcome news to the Goldbergs. They purchased a new house hoping to expand it onto the huge lot that they have that contains several beautiful fruit trees. May they remove the trees to expand their house? According to the Yaavetz, they may remove the trees and plant them elsewhere, and then expand their house onto the extended lot. Again, I suggest that the Goldbergs check whether this relocation of the tree can realistically be done. This exact question was asked of Rav Tzvi Pesach Frank, who was the Rav of Yerushalayim for many decades until his passing in 1960. Rav Frank cites and analyzes many of the above-mentioned sources, and is inclined to be lenient, reasoning that the performance of a mitzvah cannot be considered a destructive act. He concludes that one should have a gentile remove it, but not as an agent for a Jew, although he does not explain how one accomplishes this (Shu"t Har Tzvi, Orach Chayim II #102).